Julie Dillon is a rising star in the science fiction and fantasy community. Her gorgeous artwork has appeared in everything from the covers of novels from publishers such as Tor Books, Angry Robot, and Penguin, as well as for magazines such asClarkesworld, LightspeedandUncannyMagazines. Now, she’s Kickstarting a new art book calledDaydreamer’s Journey, a retrospective of the art that she’s produced over the course of her career. Dillon has gained a considerable amount of acclaim for her work since those first books were published in 2014 and 2015. She’s been nominated for and has won the Chelsea (an annual award for SF/F artists), Hugo, Locus, British Fantasy and other awards for her work. She says that over the years, she’s had to go hunting through hard drive to search for a file, and often came across artwork that she had forgotten about, and wanted to figure out a way to showcase her work. A majestic landscape is wonderful, yes, but how would it feel to a person looking out over that vista? How would someone react to seeing this magical creature? What would someone’s life looked like if this fantastical setting was ordinary to them? Science fiction and fantasy offer a broad range of subject matter, and allow for more surreal approaches, but I think ultimately it just gives you more ways to reveal our own humanity, in the way that we relate to those scenes. 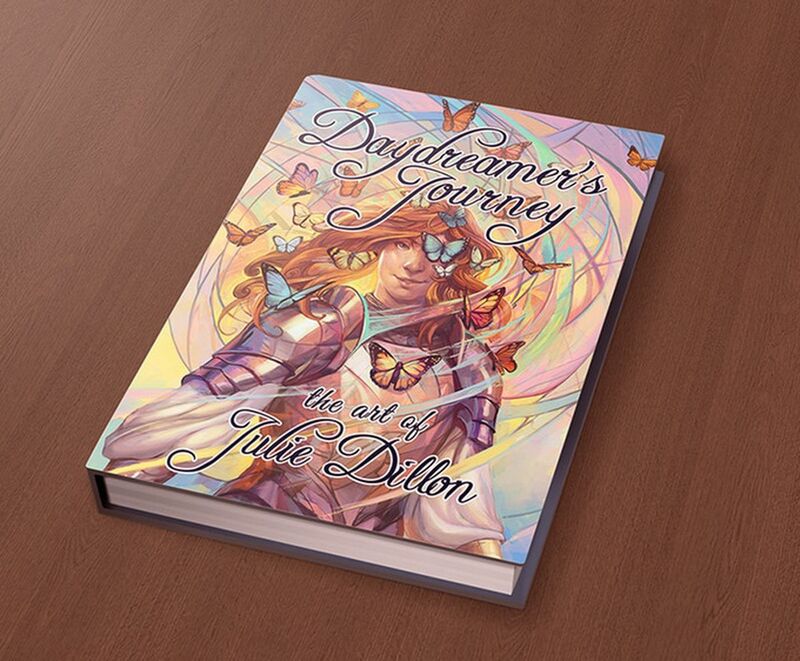 She notes thatDaydreamer’s Journeyis already assembled, and once the campaign finishes, the book will be printed and shipped to backers by December 2018. A physical copy will run $30 (a digital PDF is be $10), with some additional tiers including copies of her prior work, prints, and more. She also notes that there’ll be “very limited availability” of the book following the campaign.